In the second annual UEA Xmas SciSnack group post, we have chosen to explore scientific flaws in disaster movies. These short pieces have been written by members of the UEA group and are a mixture of light hearted humour and some serious unpicking of the meteorological, oceanographic and geological movie disasters. We hope you enjoy reading them as much as we enjoyed writing them. If you are fanatical about the film Titanic, you have probably already read about several continuity errors, but here I want to tell you about a few of the science mistakes that you may have missed. You jump, I jump, right? Jack is a gentleman in this scene, but if that would happen in the real life, the end would be different. Taking into account the complexity of Rose and Jack, it is quite impressive to see how Jack can hold and lift around 70 kilos from the other side of the banister, well done Jack! It would be more realistic if both would fall down, but of course the film would not be 2 hours and 40 minutes long. Jack is not the only one who shows an incredible force. When the Titanic splits into two, half of the ship (that was in vertical position) landed in the water. Surprisingly, the impact of 25,000 tonnes from an altitude of more than hundred meters (imagine a plane landing in the water while you try to hold yourself in your place without even the belt) was not enough to throw Jack, Rose and others overboard. But the most unrealistic thing of the film is that Jack and Rose seem to be miraculously used to the freezing waters. As Jack said in the “you jump, I jump” scene, the water should be 2°C or less. At this temperature you will suffer from hypothermia (gasping, loss of dexterity, motor control and shock). They crossed several rooms full of freezing waters and were still ok. They were wet for about an hour without any problems; realistically you lose consciousness in around 15 minutes if you do not warm up. But they showed no symptoms of hypothermia at all until they fall into the water. Jack is still able to speak calmly and coherently enough to say the most romantic words before he dies. And it is the magic of Hollywood, so remember, do not jump into freezing waters, unless you are Jack or Rose, and Hollywood has provided you with its magic. The premise of this disaster movie is a good one: the Atlantic Meridional Overturning Circulation (AMOC, often referred to as the Gulf Stream – although actually the Gulf stream is just part of this complex system of currents) shuts down, unleashing climate chaos. The idea is based on genuine scientific concerns that climate change will lead to greater melting of polar ice caps, flooding the North Atlantic with freshwater and therefore reducing the rate at which deep water sinks here, thus reducing the strength of the AMOC. However, while this idea works in simple conceptual models and analysis of paleoclimate records suggest that the AMOC has collapsed in the past, fully coupled climate models tend to simulate a more gradual decline over the coming century. In addition, the Gulf Stream and other surface currents that contribute to the AMOC are predominantly driven by winds, so even if water stopped sinking in the North Atlantic, the Gulf Stream would still exist. Still, it’s not beyond the realm of possibility that this sinking could cease due to climate change, and the impacts would be dramatic, especially if it happened overnight. Leaving aside the likelihood of such a scenario, the physics of the climate response depicted in the movie is where things get a little absurd. 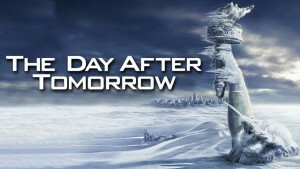 Global superstorms spring up, bringing havoc in the form of floods, tornadoes and freezing conditions, and (most devastatingly of all) destroying the Hollywood sign… Although a decrease in ocean heat transport due to AMOC collapse could increase storm activity, the rapidity and severity of this is hugely exaggerated in the film. Leaving aside the truly disastrous acting and story logic, let’s take a closer look at how atmospheric phenomena are presented in the film. 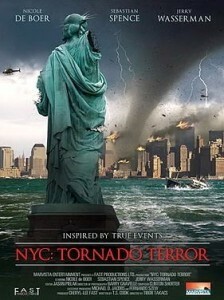 As the title hints, New York City is hit by another natural calamity and in this case huge tornadoes drop from above causing loss of life and destruction. Even before delving into the portrayal of tornadoes themselves, the film premises that global warming causes the Earth’s atmosphere to disengage into two parts so that moving differently, they act as huge lightning generators. This somehow causes electrical tornadoes to spawn from the parent cloud and to drop down on the city streets. The film-makers not only fail to explain how global warming can split the atmosphere in half, but they also confuse tornadoes with dust-devils, which have quite different natural origins. Tempted to pick at every single case of pseudoscience in the film, we will nevertheless turn to the main point. One of the biggest flaws in portraying tornadoes is not even that vortices often appear from a clear sky in a matter of minutes, but that they are cold-cored, or “cold to the touch”. The film’s main character – meteorologist Dr. Cassie Lawrence – attributes this to stratospheric air coming down with sub-freezing temperatures. This statement contradicts both the film’s idea of disconnected atmospheres and of course laws of atmospheric physics. The motion inside a tornado can indeed be downward, as Doppler radar reveals , but the descent causes the air to warm and the cloud droplets to evaporate, leaving the core free of clouds. In the film, on the other hand, tornadoes were generating lightning bolts inside them and literally freezing people to death. 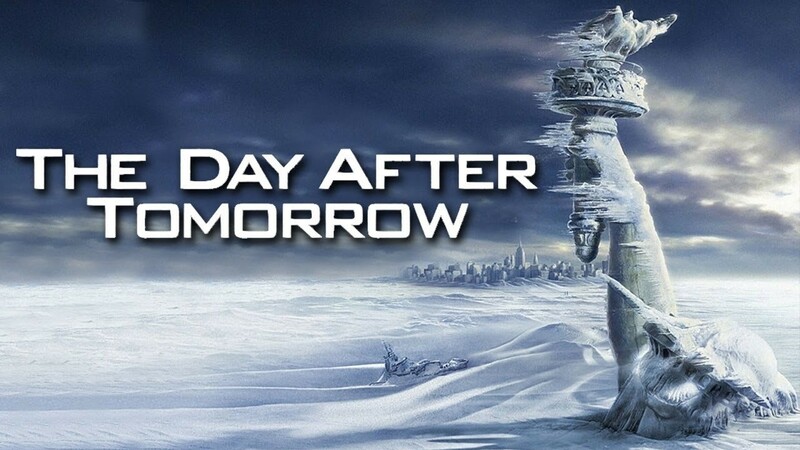 With the pot-pourri of unrealistic weather phenomena befalling New York, how did the scientists react? A bit unsurprisingly, the solution was to use cloud seeding – injecting the storm cloud with small particles that will act as nuclei, so that the cloud ice crystals will grow at the expense of water droplets and will become large enough to form precipitation (Bergeron process) . The essential part of this method is to find clouds that have very high ratio of supercooled water to ice crystals and then add enough artificial ice nuclei to produce precipitation most effectively. How could cloud seeding help destroy a tornado? Hypothetically, if clouds around it are seeded with nuclei, the latent heat of crystallization will be released, reducing air instability within the storm cloud. Latent heat release can also stimulate the growth of a secondary circulation centre, reducing the pressure gradient and thus weakening the spiraling winds in the main tornado region. This idea was actually tested during project STORMFURY – the field experiment of tropical cyclone modification . Among the project’s legacy is the conclusion that hurricane seeding is overall ineffective because they contain too little supercooled water and too much natural ice. Keeping in mind that tornadoes in the film appeared with extremely low temperatures and blindingly bright winds we can assume an environment which was very rich with ice crystals. Therefore, seeding such vortex would have no effect, whether dry ice or silver iodide is used as a seeding agent (in the film they are claimed to have the opposite effect). Sharknado stood out in the low-budget storm disaster film genre for a number of reasons. 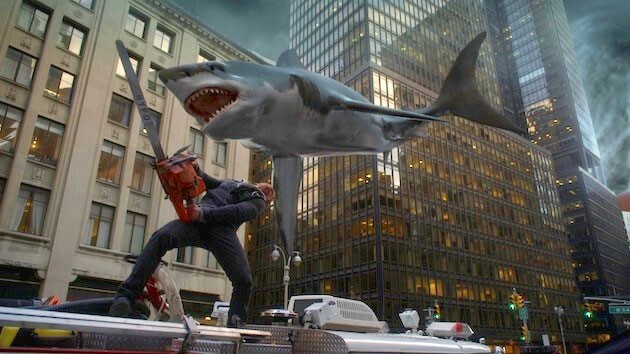 Released in 2013, viewers are taken on a thrilling adventure in which a cast of averagely paid actors have to escape the threat of oncoming hurricane David, bringing with it perhaps the entire shark population of the eastern Pacific amongst the rising waters and within a tornado of epic proportions. Whilst putting aside the ridiculousness of the plot, and the low quality acting you would only expect to find in a Nicholas Cage film, one has to ask whether this scenario could happen in reality? I will choose only to tackle the main implausibility; a tornado formed at sea swirling and spewing multiple sharks into the downtown population of Los Angeles. Firstly, it is not possible to have a tornado at sea as they are only found on land. The sharks instead would have experienced the full force of a waterspout, which are actually fairly weak, less than 45 m/s winds (100 mph), in comparison and do not last as long . But then, how fast would the wind speed need to be to pick up such a predator? Where m is the mass of the shark (2,268 kg), g is gravitational acceleration (9.81 m/s), ρ is the density of air (1.2 kg/m), A is the assumed surface area of the shark (4.6m2 – based on the average length of a Great White), and CD is the drag coefficient (assumed = 0.82). Plugging in these values reveals that an upward speed of 99 m/s (221 mph) would be needed to lift up a Great White out of the ocean, which is more typical of a strong wind vortex of at least F4 scale. Hence, the probability of a single Great white shark, let alone a large school, being picked up and spat out by such a phenomenon, is relatively small. Therefore, I conclude that in order to satisfy atmospheric physicists and meteorologists worldwide, this film should have instead been called ‘Sharkspout F4’. Although, arguably, this title is not as catchy. 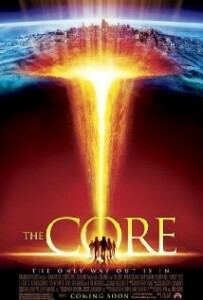 ‘The Core’ sci-fi B-movie at its best – large budget, tongue-in-cheek script and frankly silly plot. However it somehow remains close to mine, and many other geologist’s hearts despite the terrible geology present in the movie. The premise is fairly simple. The Earth’s outer core has stopped rotating causing our protective magnetic field to disintegrate. A new type of adventurer is created – the Terranaut. The film accurately describes the basic geology of the Earth with the classic cutting a peach in half technique, but it is highly unlikely that the Earth’s core would ever stop rotating, and we certainly do not have the technology to control it, as suggested in the film. Armed only with science and an ability to ignore some serious geological faux-pas, our geophysicist hero travels to the centre of the Earth to re-start the core using a series of nuclear detonations. What could possibly go wrong? Predictably, many things do go wrong but the crew overcome each problem before you can say “you can’t get void spaces in the mantle”. One of the biggest geological errors in this film is in the form of a giant hole in the mantle into which the ship falls. This occurs at about 1126km depth, and temperatures are quoted as being up to 5000°C. They must be in the nearly completely solid lower mantle. Temperatures here are far higher than the melting point of mantle rocks at the surface (think volcanic eruptions). Lava from the volcano Kilauea (part of the Hawaiian Island volcanic chain and the hottest lava currently erupting) can only reach 1160°C. Even though the mantle temperatures are far higher than this, the mantle is solid due to the enormous lithostatic pressure. A void like the one they fall into cannot exist due to these extreme pressures. Also present are stunning arrays of amethyst crystals, a variant of quartz, which again is improbable at these temperatures. The amethyst crystals would have been formed from the surrounding mafic mantle rock (rocks high in magnesium and iron, and low in quartz-forming silica) whilst it was molten (we already know the mantle rock is solid). Quartz is also unstable under pressure and high temperatures, and so amethyst crystals really shouldn’t be appearing in the mantle. The crew continue to battle these steep geological odds and ultimately save the planet. For escapist viewing it ticks all the right boxes, and on a positive note, this film was integral to fostering future entertainment and scientific collaborations trying to reduce ‘bad science’ in movies, such as the Science and Entertainment Exchange program. Plot summary: Man destroys the environment. Plants get moody and fight back. People are dying in New York. It’s suicide. And it’s spreading. Cue mass panic and lots of running away. Running from the wind. Running from the plants. It turns out the plants are the culprits behind the killing, releasing a neurotoxin that induces a death wish. Cue graphic scenes of ever more convoluted suicides, culminating in a man being very slowly run over by his own lawnmower. Nasty. It all sounds a bit ridiculous. But could it happen? Let’s investigate. Yes. This is most plants’ main form of attack, defence, and communication. On this point The Happening is far more realistic than some other killer plant stories, like The Day of the Triffids, in which the Triffids develop locomotion, or Audrey developing a taste for human flesh in Little Shop of Horrors. That just isn’t how plants roll. They prefer chemical warfare. Could these chemicals be neurotoxins? Possibly. However, for plants to emit chemicals from their leaves, they need to be volatile (able to be evaporated from the leaf surface). This means they need to be fairly small molecules. Many common neurotoxins are peptides or proteins, hundreds of times larger than the terpenoid compounds typically emitted by plants. Can plants communicate with each other? Yes. Plants use chemicals to talk to their friends and their friends respond. Generally in intra-species communication this elicits copycat behaviour. If one plant starts emitting defence compounds in response to being attacked, other plants nearby pick up on this and start doing the same thing in preparation for a possible attack. So the co-operative behaviour portrayed in The Happening is not beyond the realms of possibility. And there you have it, the UEA myth busters are at it again this time debunking spurious film plotlines! 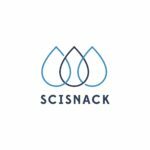 From all of us here at the UEA SciSnack group we hope you have a very merry Christmas and a wonderful new year. Ahrens, C. Donald. “Weather Forecasting”. Essentials of Meteorology: An Invitation to the Atmosphere. 5th ed. Belmont: Thomson Learning, 2008. 235-61. Print. H.E. Willoughby; D.P. Jorgensen; R.A. Black; S.L. Rosenthal (1985). Project STORMFURY: A Scientific Chronicle 1962-1983. Bulletin of the American Meteorological Society. American Meteorological Society. Volume 66, Number 5. pp. 505–14. JOSEPH H. GOLDEN, 1971: WATERSPOUTS AND TORNADOES OVER SOUTH FLORIDA1. Mon. Wea. Rev., 99, 146–154. Tagged atmosphere, Climate, movies, Ocean, Weather. Interesting article. I would go a little further and add “2012” (CG disaster mild enough for John Cusack), “Dante’s Peak” (James Bond vs natural disaster) and Hitchcock’s all time favorite “The Birds” (you know how) in the list.